The Phoenix Bridle is perfect for the 3 Day Eventer, as a Black Figure 8 bridle. 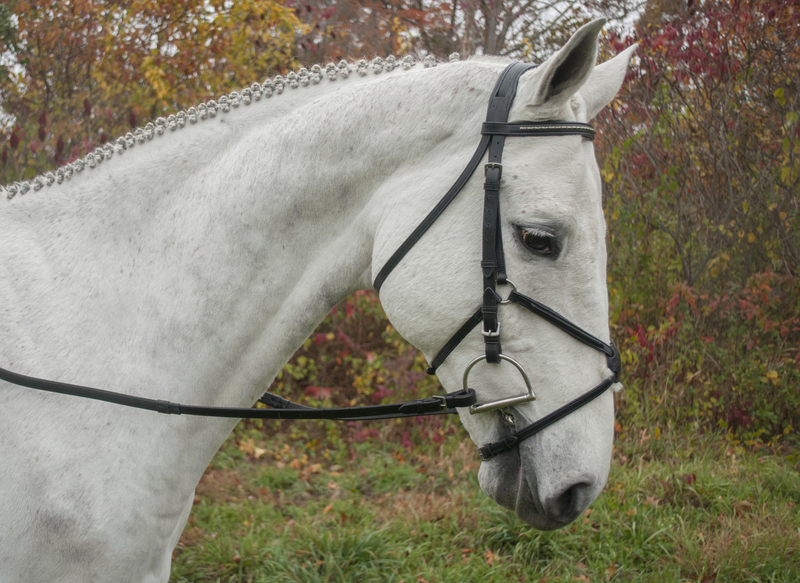 The Phoenix features a 1/2″ square raised Figure 8 noseband and two browbands: a padded Silver studded browband and a matching square raised browband, and 5/8″ cheeks. This Figure 8 bridle comes with our soft padded contoured, threaded headstall – which allows you to have the ultimate in comfort for your horse’s poll, while using a standard noseband. Comes complete with 5/8″ Rubber Reins. This bridle is made of the best Grade A Sedgwick’s leather. 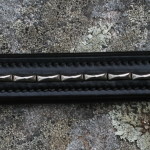 All hardware is stainless steel, buckle end.